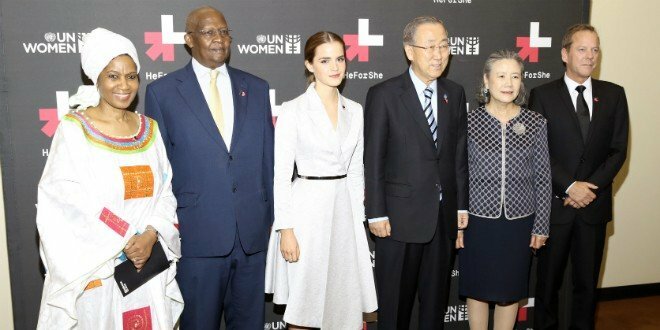 Like hundreds of thousands of other people across the globe, I watched in awe as self-confessed “Harry Potter girl” Emma Watson made a powerful speech about the issue of feminism in today’s society at a UN conference early this week. And I was both shocked by the statements she made about the state of feminism today and inspired by the passion with which she tackled the issue. Throughout the speech that has now gone viral, Emma spoke about how the word feminism and individuals who identify as feminists, have become tarred with the notion that feminism and feminists equals men haters. But why am I telling you all this? Well, besides the fact that I have been an Emma Watson fan since I was 10 years old and gender equality is a topic I take very seriously, I recently read some startlingly figures relating to the recruitment industry and women that make Emma Watson’s speech and the cause she is promoting, so much more relevant to our industry and how we recruit candidates everyday. According to research carried out by Sue O’Brien, the CEO of global recruitment firm Norman Broadbent, it can often take 8 phone calls to persuade a woman to apply for a job – compared to just 2 calls to prompt a man into putting his name forward. Women are also far less likely to apply for a promotion until they’re sure they have the experience needed for the role – whereas men are far more likely to assume they already possess the necessary skills to take on a higher role. More upsetting was the news that some executive search companies have been caught deliberately not putting women forward for executive roles or actively passing them over in favour of hiring men, despite the fact that the women had sufficient competencies for the roles. So what can we do to change this? 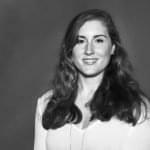 How can we, as recruiters, alter our sourcing and recruiting methods accordingly in order to alleviate this issue and ensure workplace diversity becomes truly commonplace in the not too distant future? Well, the first thing to realise is that having a desire to recruit more women and actually recruiting more women are two entirely different things and that even if a company’s HR program, recruiting group and hiring team all agree that their company should hire more women, certain legal issues come into play. Your recruiting team, your interviewers and each member of your HR program should all be taught that recruiting, hiring, and retaining women is an extremely important goal for your company. Get to know your team members. Encourage them to spread the word about the jobs you have on offer to females on their own social networks. Make sure that they each share this vision. Make your job ads women-friendly. You should be doing this regardless, but think carefully about what your job ads say about your company’s culture. There’s nothing wrong with having a fun, friendly and casual atmosphere (in fact it’s fantastic if you have one), but advertising it with promises of endless cold beer, pool tables and gaming consoles may mean you cut out a significant portion of your potential employee base. Balance is key. Ask yourself what young women want from a “fun, friendly and casual atmosphere”. Or better still, listen to what your current women workers have to say. They have first hand knowledge and experience of what’s working and what’s not in your organisation, and can provide suggestions on how to make the workplace more appealing to other women employees. To find many qualified female applicants, focus your recruiting efforts on places where women are easily reached. Research local women’s organisations and women’s employment websites. Look into job boards and career fairs at women’s colleges. Research women’s groups on social media. If you’re looking to recruit women for a tech role, advertise where tech women look! There are ample mailing lists and forums that women subscribe for specifically to see job ads. These include Linuxchix jobs lists (global and chapter), Systers jobs list, various GirlGeekDinner lists, and local Women in Tech group lists. All it requires is a little homework. If you don’t have much practice in tech recruitment then make sure to look at our Internet Recruitment content for more. These efforts won’t exclude men from applying or from being selected, but they will result in a higher number of female applicants. What it will do is find you your perfect candidate. Create a female-friendly benefits program. What is your company’s maternity leave policy? Do your benefits cover family planning and prenatal care? Do you have flexible start and finish times? Is there an option to work from home? Do you offer onsite childcare facilities? When a company offers benefits packages that more fully support women, it’s easier to find qualified applicants during the recruiting process. Female-friendly benefits also help keep valued employees where you want them ‚¬€œ at your company. When you treat sexual harassment and gender discrimination with the seriousness these matters deserve, you create a positive environment for the working women in your company. A zero-tolerance policy will make retaining female employees easier, and when word gets out that your company isn’t afraid to stand up for its female workers, more women will respond to your job openings. Promote your current female employers and particularly women in positions of power. When women are represented in the highest levels of your company, other talented women will notice. Most women appreciate having female colleagues, and if the opportunity to socialise with other women, and be mentored by more senior women is available at your company, recruiting star female candidates becomes much easier. Remember, talented and qualified women are everywhere, and if your company’s hiring practices don’t reflect that reality, it’s time to change the way you go about recruiting. If you’re looking for innovative way’s to source your next female candidate then why not check out our Sourcing Training. Better yet, why not avail of your FREE demo today! A list of the Top 10 Job Boards in Ireland in 2014 and how it compares to last year's list. Have you ever looked at your (extremely valuable) LinkedIn address book and thought, "what if all this disappears tomorrow"? It's always good practice to back up anything you use for your business, in particular your hard-earned networking contacts, to somewhere you control. Regularly exporting your LinkedIn contacts is a really simple task, so follow these 3 easy steps and then make a note in your diary to do this at least once a month.